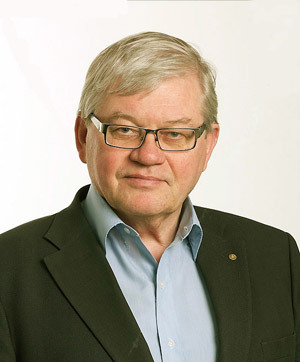 Who: Kjell Aleklett, professor in global energy systems at Uppsala University, Sweden, and president of the Association for the Study of Peak Oil & Gas (ASPO) International and head of the world’s leading research group on peak oil. What: Public lecture about current and future supply of oil globally and Canada’s role in it. When: Tuesday October 23, 1 to 2 p.m.
On Tuesday October 23, global energy expert Kjell Aleklett will deliver a free one-hour lecture at UBC's Okanagan campus about the content of his new book, Peeking at Peak Oil, an insider's perspective on peak oil and its world-changing consequences. Aleklett, president of the Association for the Study of Peak Oil & Gas (ASPO) International and professor in global energy systems at Sweden’s Uppsala University, will share his thoughts on what he says is the most inconvenient truth in science – global oil production is entering terminal decline. In his writing, Aleklett uses science to reveal the errors and deceit of national and international oil authorities, companies and governments. The author and academic addresses a number of questions: What happens when a handful of giant oil fields containing two thirds of our planet’s oil becomes depleted? Will major oil consumers such as the EU and US face rationing within a decade? Will oil producing nations conserve their own oil when they realize that no one can export oil to them in the future? Does peak oil mean peak economic growth? The event takes place from 1 to 2 p.m. in Room 337, Science Building, at UBC's Okanagan campus. It is hosted by the Irving K. Barber School of Arts and Sciences, Unit 7, Earth and Environmental Sciences and Physical Geography.